Trainer Was trained by Boris Malenko, Eddie Sharkey and Masami Soranaka. Managed by Managed by Ted DiBiase (as "1-2-3 Kid"). 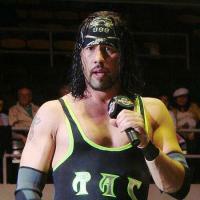 Managed by Ryan Shamrock (as "Sean Waltman"). Managed by Chyna and Tori (as "X-Pac").